eSTEM Morocco participants pose proudly with their certificates after completing the program. In 2013 TechWomen alumnae Nezha Larhrissi, Salima Kaissi and Zineb Gharasse, launched an initiative to help young Moroccan girls become more active in the STEM (science, technology, engineering, and mathematics) field. Soon after, this initiative evolved into the NGO eSTEM Morocco which is devoted to empowering girls by offering them the opportunity to enter the world of tech entrepreneurship, application skills building, and volunteerism. eSTEM Morocco also provides mentoring, and professional and personal development training on lifestyle and health issues. With the help of TechWomen alumnae and other active women in the field of STEM, eSTEM Morocco has impacted the lives of many young girls across Morocco. In 2016, 12 teams of 5 girls each competed in the Technovation regional finals. Each team had the opportunity to come up with a startup idea to find a solution to an environmental problem using the Technovation curriculum and platform. 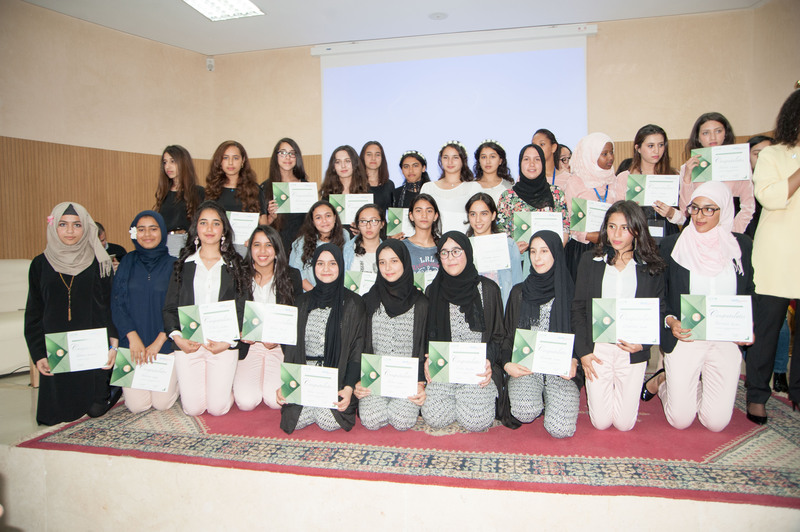 Other eSTEM participants have also competed in high level national competitions; an eSTEM won the first prize at Startup Maroc Women, a national competition for startups among senior participants. Through the efforts of Nezha, Salima, and Zineb, eSTEM Morocco is making its way to becoming a reference in the education of the young girls. Its continued success has harnessed valuable partnerships with institutions, universities and STEM international companies. eSTEM Morocco has been consulted by the Moroccan Ministry of Education as part of 100 most influential NGOs to help promote First Lady Michelle Obama’s Let Girls Learn initiative. Also, eSTEM Morocco will be participating in the upcoming COP22 offering eSTEM girls the possibility to present and pitch their applications with the hopes of finding potential sponsors to help launch their applications. eSTEM Morocco strives to inspire and empower young girls to be the best that be in their communities and beyond; their motto is: A girl today a leader tomorrow!